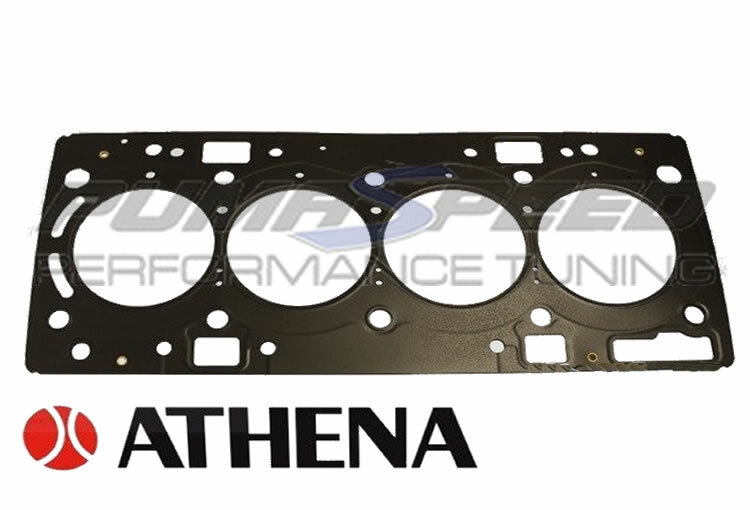 Athena MLS Headgaskets consist of 2-5 layers of steel sheets of different compositions and covered by an elastomer layer that gives excellent sealing properties. Raisded Beadings around the combustion chambers and oil/coolant passages increase the local sealing pressure (Macro sealing) whilst full-surface or partial elastomer coatings provide additional tightness (Micro Sealing). Thanks to their composition, Athena gaskets considerably incease the sealing and injection pressure to the lowest engine head bolt tension and guarantee better reliabiltity and performance. The Pumaspeed Workshop team are ready to fit the Focus RS 2.3 Ecoboost Athena Head Gasket in our Head Office located here. Therefore making parts and labour a total cost £730.90 (inc. VAT). Pumaspeed have a specialist distribution team that can dispatch the Focus RS 2.3 Ecoboost Athena Head Gasket to any destination worldwide.